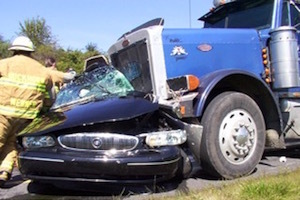 Commerce, California truck and car accidents can cause very serious injuries. During a personal injury claim, various issues may arise, from managing legal formalities pertaining to the case to coping with injuries, medical care, medical bills, loss of a loved one, and damage to property or loss of income. Contact us 24/7 for complete legal assistance during your truck accident personal injury case in Commerce, Los Angeles County, California. Our truck accident legal expertise extends not only to those injured in truck, car, motorcycle and other types of personal injury accidents but to families and loved ones of those who have lost their lives in a tragic truck or car accident and need expert legal assistance with wrongful death accident claims. Know more about your rights and our truck accident injury and wrongful death lawyers by visiting our home page. For information on our Commerce and Los Angeles truck accident attorneys, their experience and success stories, check our Client Testimonials, our record of Verdicts & Settlements and our Personal Injury Lawyer Profiles. Find even more information on our Truck Accident Website on how to deal with the situation when you or a loved one has been involved in a truck collision or car crash in Commerce, Los Angeles County or anywhere else in California. And for more specific information about how to report and handle your own truck accident claim in Commerce or Los Angeles, California, please call us now at 818-222-3400 or 1.866 INJURY 2 or simply click here. A small city located in southeast Los Angeles in California, Commerce has a population of 12,823, according to the 2010 U.S. Census. It is bordered by Vernon on the west, Los Angeles on the northwest, East Los Angeles on the north, Montebello on the east, Downey and Bell Gardens on the south, and Maywood on the southwest. 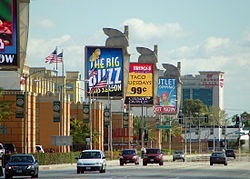 Commerce is served by the Long Beach and Santa Ana freeways, as well as the Metrolink commuter rail service at the Commerce station. 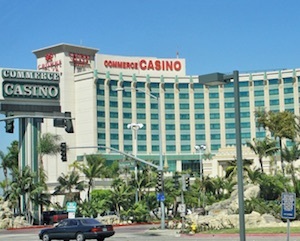 The city of Commerce is a well-known vacation destination that houses some of America’s best casinos, such as the Commerce Casino. From theme parks to museums and performing arts, there are multiple world-class destinations within reach. Visitors can squeeze in a little fun at the StubHub Center (formerly the Home Depot Center) in Carson where the Los Angeles Galaxy play, and sightseeing at nearby places to visit such as the Venice Boardwalk, Griffith Observatory and Point Fermin Lighthouse. Being a victim of a truck crash can leave you dealing with traumatic injuries that may permanently affect your health and finances. Therefore, choose the best truck accident personal injury lawyers to represent you or your loved ones. When in need of an experienced lawyer to address the concerns of compensation and negotiations after a truck, car or any other kind of accident, choose our legal experts who possess more than 40 years of experience in personal injury claims. Our services extend to families and loved ones, who lost someone to a fatal truck or car accidents and are in need of proper legal representation in processing their wrongful death claims. For a quick and easy way to contact us, tell us all about your truck accident personal injury case by filling out your case details in our contact us form. Our truck accident personal injury attorneys and legal experts will get back to you in no time. We work on contingency fees on truck, car and motorcycle accident injury cases. This means there is NO legal fee charged or due unless and until we win your case and recover maximum compensation for your losses and damages. Our Commerce truck accident injury lawyers also offer a FREE initial consultation on injury accident cases so don’t wait – call us now! AND OUR INITIAL CONSULTATION ON COMMERCE TRUCK ACCIDENT INJURY CLAIMS IS ABSOUTLEY FREE!